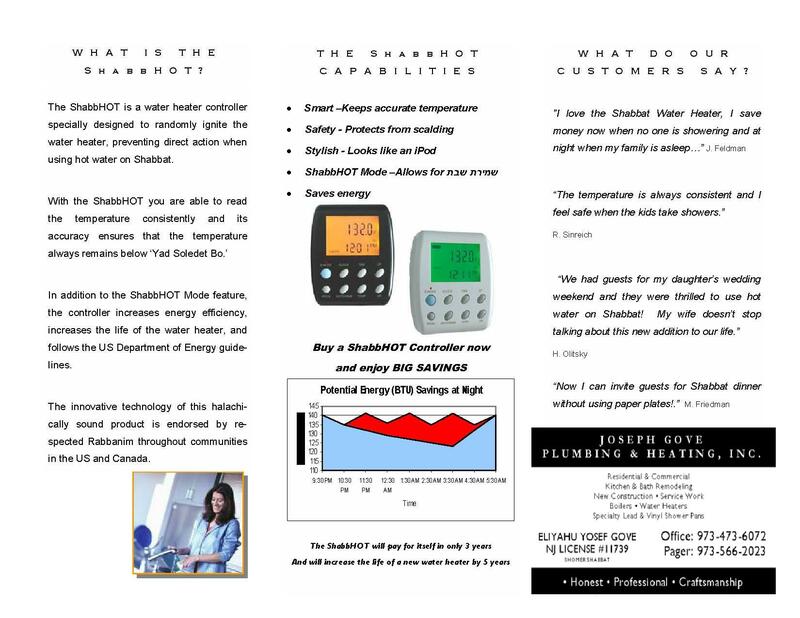 The ShabbHOT™ is the only digital thermostat programmable water heater controller on the market. ShabbHOT™ Mode (S-Mode) features a control system which regulates the temperature to an exact degree allowing you to keep the temperature at a permissible level on Shabbat. The S-mode has a patented system that uses a double random control process, thus removing the operation of the system from being a direct action of hot water usage. The ShabbHOT™ water heater allows you to better observe the Shabbat by not reaching the “Yad Soledet Bo” temperature. Safety: The ShabbHOT Water Heater is designed to prevent scalds and burns. Energy Efficiency: The ShabbHOT Water Heater is designed according to Department of Energy and American Council for an Energy-Efficient Economy regulations. Click on any of the articles below about ShabbHOT and why you should have "Yossie" Gove install it, or Download the ShabbHot brochure. 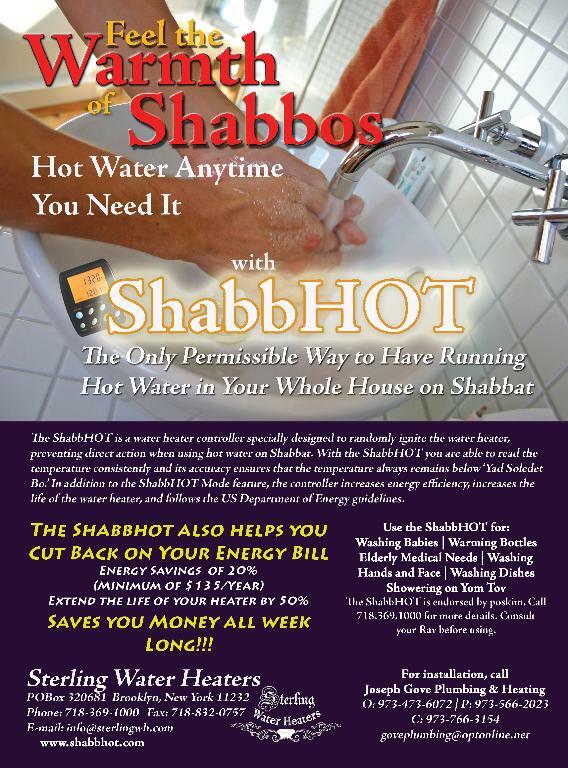 Halachically Permissible Hot Water on Shabbat!